Based on our Performance Bib Short, and constructed entirely from our premium CS Contour fabric the Performance Cycle Short ensures just the right amount of compression, which leads to optimal comfort. The Performance short provides a close yet traditional fit. 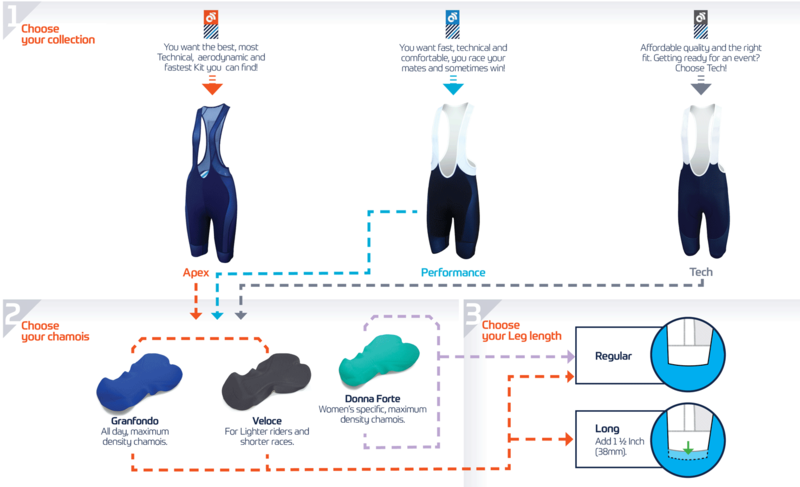 Contour Lycra, a critical requirement for a performance short ensuring fit and function. Silicon-injected gripper, ensuring low irritation cuffs that stay in place in all conditions.